Bansaku on the other thread reported much better results on the 7950, at higher res but with only 4x AA. Still, much closer to Windows. Maybe OS X doesn’t handle the presence of 2 GFX cards very well? 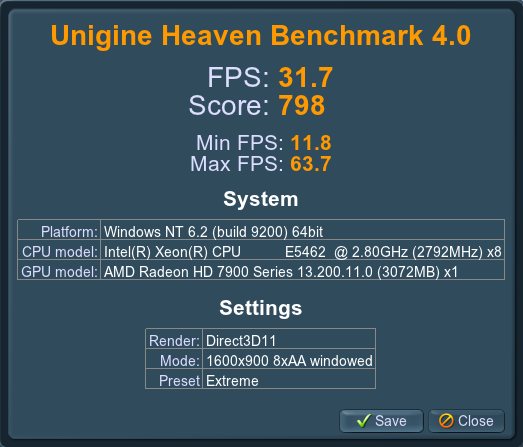 Keep in mind my system is significantly faster than any real Mac, and I am sure PCIe 3.0 really helps narrow the gap. Updated test. It seems I accidentally had OC settings in Windows. Lucky for me, 10.9 DP6 just came out so a retest was needed anyway. 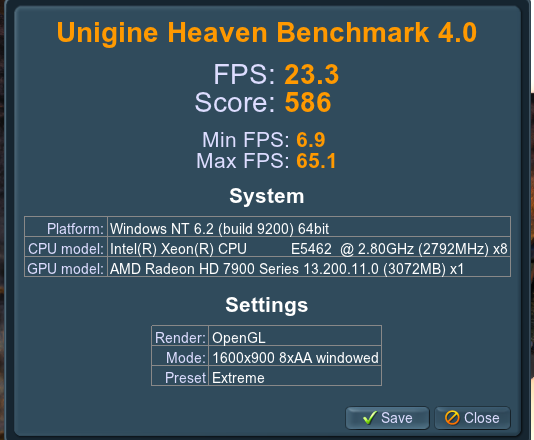 Here are the new results, ran 3 times each OS with a reboot in-between each. Like I said, I ran each test 3 times. I am impressed! Screens over at Insanelymac! netkas, OS X imposes Vsync on every windowed app, even games in which Vsync is supposed to be off. So you should redo the test in fullscreen or with Beam sync disabled in Quartz Debug (unless you did it in your tests). That would explain the discrepancies with other people’s results. 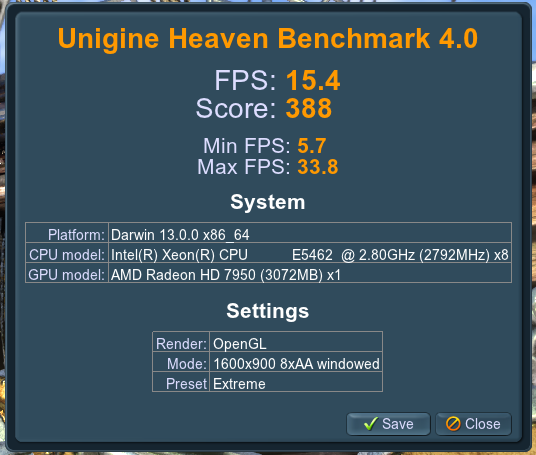 Couldn’t it be because OS X makes only use of the GPU while windows also takes the CPU for gfx acceleration?